For 2017-2018, one of the EYP’s main goals focuses on informing media makers about all levels of corruption and empowering them to tackle it effectively. For media makers, corruption is a key topic twofold: media is one of the main institutions in society responsible for detecting, deterring and reporting on corruption, while simultaneously being prone to and often affected by corruption. Young media makers and citizens are vital in changing society’s perceptions and tolerance of corruption. 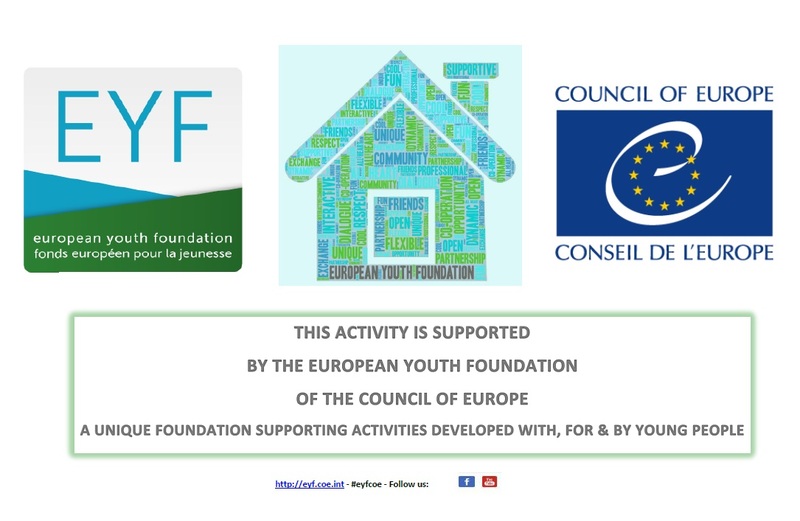 The Detecting, Deterring and Reporting Corruption Work Plan 2017 contributed to achieving Council of Europe’s Expected Result 1 for its 2016-2017 Youth Sector Priorities, calling for young people and youth organisations to develop their competences and knowledge to influence decisions in democratic processes. With this Work Plan, EYP empowered youth and youth organisations to become agents of campaign against corruption. Focusing on young media makers ultimately allowed the engagement of a wider public on corruption-related matters. The three activities within the Work Plan also trained the participants on basic investigative methods and on the negative impact that corruption carries. In line with the Council of Europe’s ‘gender mainstreaming definition,’ the Work Plan included a gender perspective from the earliest planning stages to final implementation and thus contributed to achieving gender equality. 1. To empower young media makers to tackle corruption, report on it professionally and share experiences and best practices. All actions of this WP contributed to reaching this objective by involving participants in creation of the Toolkit for reporting on corruption and development of the online platform for reporting on corruption (ACRP), and giving feedback on their videos. The participants shared experiences and best practices as well as got new knowledge and reporting skills during discussions, presentations and practical workshops. 4. To improve overview/insight in the situation of corruption in different countries, its typology and effects (including specific effects on woman and youth), and capacity of general public to combat it on local, national, European level, not only in CoE countries where this WP will take place, because the online platform is accessible worldwide. This objective was reached during training in Antwerp (seminars and practical sessions), local events (which were open for general public), and at the end of training in Vilnius, when the online platform was launched and became accessible for general public. EYP is enhancing ACRP and aims at enabling everyone, not only media makers, to contribute to interactive map of corruption cases through secure (encrypted) platform. 5. To create a trans-European network of young media makers and journalists focused on corruption, which could collaborate and work together. This objective was reached throughout the whole WP, because participants worked in groups, had opportunity to meet other like-minded people, were encouraged to stay in touch after the WP’s lifetime and reach other young media makers and journalists interested in the topic. Programme of the WP also included non-formal networking activities. EYP established working group focused on reporting on corruption and everyone is welcome to join secure forum on HackPack. The first activity of EYP’s 2017 Work Plan brought together 14 young journalists and other media makers from 12 different EU and neighbouring countries (Armenia, Belgium, the Czech Republic, Denmark, France, Hungary, Italy/the Netherlands, Latvia, Lithuania, Montenegro, Spain, and Ukraine) in Antwerp on 15 – 19 March 2017. The training was hosted by EYP’s Belgian Member Organisation StampMedia. During theoretical and practical sessions – presentations, discussions, and workshops – the young media makers were empowered to tackle corruption and report on it in professional and accurate way. Sessions led by trainer from Transparency International Lithuania provided participants with insights in the typology and effects of corruption (in diverse fields, but also on youth in general) and an opportunity to share experiences/examples from their respective countries. French investigative reporter from Deputy Watch introduced participants in principles and techniques of investigative reporting. In smaller groups, they worked on reportage pitches. Special practical sessions were dedicated to preparing participants for second part of the Work Plan. They were trained to act as multipliers and organise local activities in their places of residence. Participants also provided feedback on first version of the ACRP, which was improved accordingly. They also worked on structure of second Work Plan’s outcome – Toolkit for reporting on corruption. 13 local events held in 12 different countries in May and mainly June 2017 were managed by the participants of the first training. Those participants were empowered to act as multipliers and under supervision of the organising team they were responsible for conducting local events focused on answering questions about corruption affecting each of the involved countries. The multipliers took full ownership to organise local events, however they had the opportunity to consult any concerns and questions with organising team. Although the WP foresaw common structure for all local events, after discussion with multipliers the organising team decided to give them creative freedom. As a result, the multipliers organised round-tables, panel discussion, workshops, and even half-day training. Participants of local events were young people (18 – 30 years old) interested in the topic – students, activists, media makers, and journalists. Interested people needed to submit application form and CV. They were also encouraged to create videos (and submit it before or during the local event) or take photos during the event. At the end of each event, the multiplier had selected one participant, who attended training in Vilnius (on basis of quality of videos/photos, CV, and active participation during the event). After all local events had been finished, the outcomes – photos, videos, and blog posts written by multipliers – were gathered and published on the ACRP. Participants’ videos were uploaded as well, but only with their permission, on the EYP’s YouTube channel. the event in Podgorica was supported by Mladiinfo Montenegro and held in the Youth Centre in Podgorica. It was larger panel discussion focused on speakers’ previous experiences in the field of reporting on corruption, the obstacles investigative journalists face in Montenegro, true stories from the field and examples from the national media. The speakers also presented the idea of investigative journalism, including disadvantages, and useful tools for reporting on corruption. However, the main focus was on the state of corruption in the country which is one of the problems in Montenegro – often mentioned in the media. Among the panellists were a journalist from the Network for Research of organized crime and corruption – Magnifier, and a journalist of the daily newspapers “Dan”. The participants of local events were empowered to tackle corruption and, if they were young media makers, to report on it professionally. All of them shared their experiences, examples of corruption cases, and best practices of reporting or campaigns against corruption. They improved their overview/insight in the situation of corruption in their countries, its typology and effects (including specific effects on woman and youth). Organisers received additional feedback on the ACRP and structure of the Toolkit for reporting on corruption, and were able to widen European network of young media makers and journalists focused on corruption. The participants explored in-depth how corruption affects their local communities and their countries, how the media address or fail to address corruption instances, and how individuals and other institutions are tackling it as well. They also discussed methods of and tools for fighting corruption in their daily lives and convincing others to join in this effort as well. The last activity of this Work Plan brought together 23 young journalists and other media makers – multipliers and new participants selected during local events – from 11 different European countries in Vilnius on 3 – 7 July 2017. The training was hosted by EYP’s local partner organisation NISI (National Institute for Social Integration). During the training, the participants were able to build on knowledge, expertise, and experiences they gained during previous activities of the WP. The content was logical follow-up of sessions held during first training, but also local activities. At the very beginning, the multipliers presented their local events and screened photos we well as videos. All participants learnt how to report on corruption, this time by using videos and multimedia presentations, and how to effectively disseminate their reportages as well as ACRP and Toolkit. They were divided into four groups, in which they brainstormed topics related to corruption and then created video reportages and info-graphics about them. The trainer also provided a feedback from video-making viewpoint. Other sessions were focused on advocacy, campaigning (against corruption), access to and usage of information, and how to find and use data provided by public institutions. During practical sessions, participants created draft dissemination plan for the ACRP, the Toolkit, and special discussion forum on HackPack. They also provided additional feedback on the latest version of the ACRP. Throughout the training, they shared experiences and examples of corruption cases from their countries.